I’m sure by now, you’ve also received one of the e-mails explaining how this website or service your using has made changes in response to something called the GDPR. The GDPR (aside from sounding suspiciously like some kind of Cold War secret police agency) is a new regulation in the EU governing how big bad evil corporations can use the data you freely give them when you go online. Well, I don’t live in the EU. So the EU can go pound sand. Furthermore, I do not recognize the authority of the EU to impose on persons, private or corporate, that are not in the EU, any regulations regarding the conduct of their business, or any other thing for that matter. I don’t do business in the EU, nor am I likely to. But if I were to want to do business in the EU, I would be significantly deterred by having regulations imposed on policies that my U.S. based business is not legally obliged to even have. So when you click the box that says “I have read and agree to the Terms of Service” (a statement which has surpassed ‘The check is in the mail’ and ‘The government is here to help you’ as top lie of all time), you may have been a smidgen less than attentive to the part where you told them they could do that. I do actually read and understand these things and I have written a few. I’ve never seen one that didn’t include language that says if you give me your information, I can pretty much do what I want with it. And guess what, friends and neighbors? The GDPR is not going to change that. All it does is require companies to change the language in their purposely vague and obtuse statements to be slightly less vague and obtuse when they tell you they’re gonna sell you like the piece of meat you are. A few years ago I noticed that when I connected my phone via Bluetooth to my car sound system that I would have to manually override a warning that listening to loud music might damage my hearing, before I could actually increase the output volume of the phone. This is due to an EU “safety regulation” that had to be implemented by Google in the Android operating system. Now, I’ll be honest, when I am listening on headphones, the arbitrary top limit is usually just fine, but not on my car speakers, or any external Bluetooth speakers for that matter, because there’s a higher dynamic range on those. But I’m forced to fumble with this warning while I’m navigating through traffic wondering why I can barely hear “Dogs” off of Pink Floyd’s Animals even though the stereo volume is at 25, because some fat bureaucrat in a quasi-government entity that I did not elect, appoint or participate in thought it was “a good idea”. 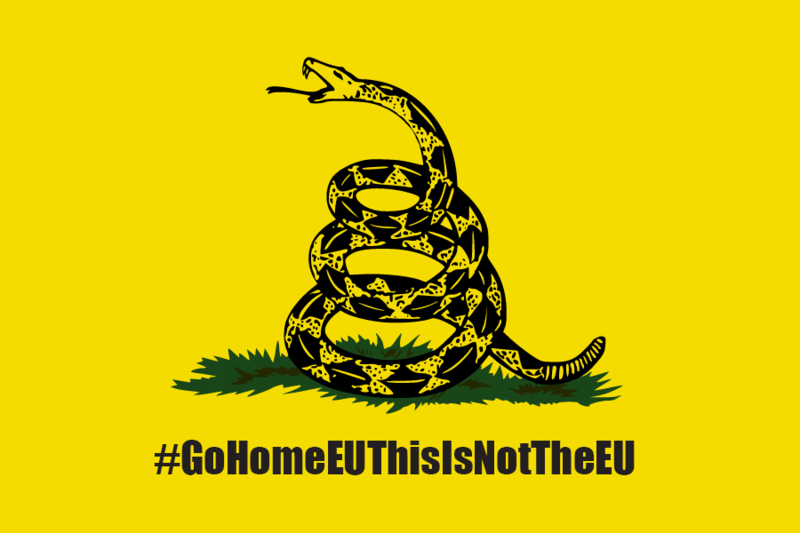 Go Home, EU! This is not the EU! That did not require government intervention. ← Previous Previous post: Time to Act?